The tax system should ideally be as neutral as possible and, one would think, should especially not penalize domestic companies in favour of foreign ones. Imposing taxes on some players that others offering the same products or services can avoid is the antithesis of a free market with a level playing field. 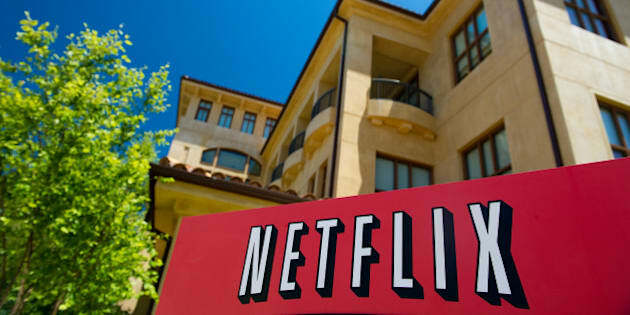 The CRTC decided last week not to impose a "Netflix tax" on foreign online broadcasters for the purposes of supporting the creation of Canadian content -- at least for now. Instead, it announced a drastic relaxation of the quotas that require broadcasters to fill a certain number of hours each day with Canadian-made content. This is not going to solve the problem of Canadian broadcasters being burdened with more responsibilities than foreign online broadcasters, since the amounts each broadcaster is required to spend on Canadian programming will stay at current levels. That burden should have been removed for all, as I argued last year. But at least it's a step in the right direction. The same issue arises when it comes to sales taxes, and another decision will have to be made soon, this time by the Finance Minister, perhaps as soon as the next budget. But this is precisely what is going on in Canada. If you buy an eBook from Amazon.com or subscribe to Netflix, you pay no sales taxes on your purchases because these companies are located outside the country. Buy an eBook from Canadian bookseller Indigo, however, or subscribe to a Canadian streaming service like Shomi, CraveTV or Club Illico, and you will pay between 5 per cent and 15 per cent GST/HST depending on your province of residence. Individuals are technically supposed to report such digital purchases from abroad and pay the GST/HST to the Canadian government. "Hello, Ottawa? I owe you even more money!" Yeah, that's gonna happen. This is why the government of Canada last year called for "Submissions for Consultation on Tax Planning by Multinational Enterprises" to get input from stakeholders regarding the taxing of e-commerce. One way to level the playing field, suggested by various industry players that submitted briefs last year, would be to require foreign companies selling digital supplies to Canadians to register for and remit GST/HST to Ottawa. Indeed, this is the route the European Union and others are going down. Companies like Amazon used to charge Luxemburg's low 3 per cent sales tax rate on e-books when selling to clients in other European countries, but as of January 1, 2015, they will have to charge the rate in effect in the buyer's country--as high as 20 per cent in countries like England. While the debate is essentially settled in the European Union, it is raging in the United States. Some states tax services like Netflix, and some don't, with legal challenges on the matter taking place in Kentucky and Louisiana. One problem the Canadian government should consider is that such taxes impose a compliance cost on the businesses required to register for and remit taxes for each of the possibly many jurisdictions where they have e-clients. While this might be an improvement on the current, unbalanced status quo from the point of view of Canadian companies facing foreign competition, there is an alternative solution: Stop taxing digital supplies altogether, including those sold by Canadian companies. Such products would not be alone in being treated differently by the tax system. There already exist many GST/HST-exempt or zero-rated goods and services such as child care, music lessons, prescription drugs and basic groceries. What would justify a similar exemption for digital supplies? It's not that they are as essential or basic as many of the other items that are exempt. Instead, what separates them from other goods is the same thing that makes it so easy for them to cross international borders: their virtual nature. There is no tangible thing that has to be shipped and handled by couriers, no physical package that has to be x-rayed and inspected by customs agents. It's all just information: ones and zeros telling your hardware to produce certain sounds and/or images. As such, the buying and selling of digital supplies requires a lot less government oversight. Another advantage of not taxing digital supplies should appeal to everyone concerned with the environment and the use of resources: It would encourage the dematerialization of the economy, that is, the producing and shipping of more and more stuff using fewer and fewer physical resources. This trend has been going on for decades, and is growing even faster today with the multiplication of goods and services delivered through the Internet. Canadian sellers do need a level playing field, and it may make some sense to levy taxes on physical packages being shipped into the country by courier or mail. But given the intrinsically intangible nature of digital supplies, it would be better for everyone to level that playing field down to zero in this particular case.